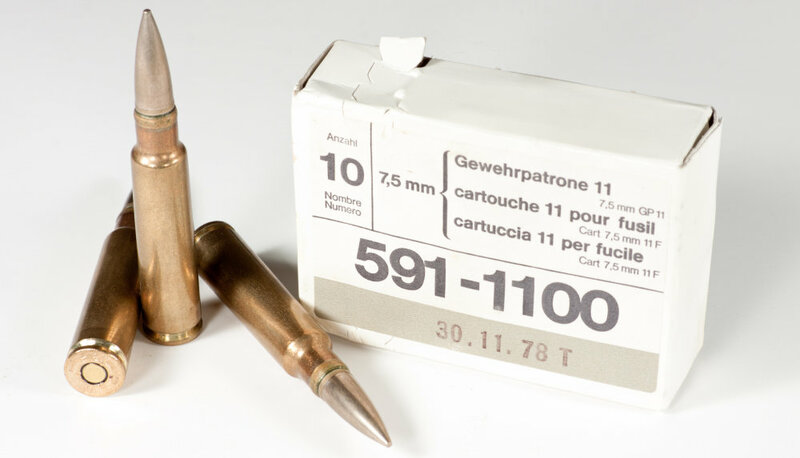 The Swiss GP (Gewehrpatrone) 11 7.5×55 mm cartridge is still the standard ammunition for the MG 51 general purpose machine gun used on many Swiss armored vehicles such as the Pz 87 “Leopard 2” tank or the MOWAG Eagle Reconnaissance Vehicle. In this role, it is usually belt fed with GP 11 full metal jacket and GP 11 tracer rounds. The 11.3 gramme (174 grain) Full Metal Jacket GP 11 spitzer bullet offered good aerodynamic efficiency and ballistic performance with a ballistic coefficient (G1 BC) of 0.505 to 0.514 (ballistic coefficients are somewhat debatable). At 780 m/s (2,560 ft/s) muzzle velocity the standard GP 11 ball bullet retained supersonic velocity up to 800 m (875 yards) (V800 ≈ Mach 1.1) under ICAO Standard Atmosphere conditions at sea level (air density ρ = 1.225 kg/m3). 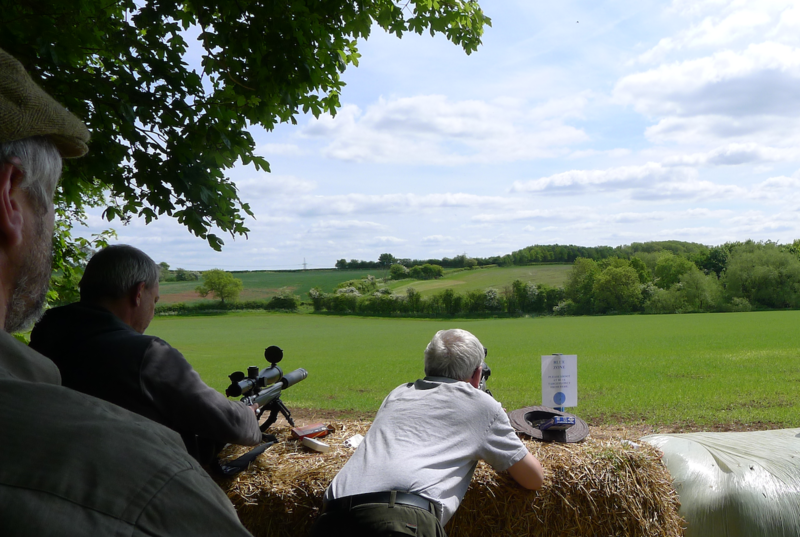 Even by contemporary standards 800 m (875 yards) typical effective range is quite remarkable for a standard military rifle round. GP 11 is regarded as highly accurate and well-manufactured ammunition. Due to the increased availability of K31 rifles on the civilian market, a number of cartridge manufacturers, including Prvi Partizan and Hornady, now produce 7.5×55mm rounds in full metal jacket, soft-tip, and ballistic tip configurations. Few, if any, of these rounds match the quality and production tolerances of the original Swiss military ammunition and most Swiss match shooters use standard GP 11 ammunition, a testament to the accuracy of the GP 11 round. In addition to the standard Full Metal Jacket GP 11 rounds, specialty rounds were produced as well. Armour–piercing steel-cored rounds can be identified by their violet bases. These rounds can easily pierce 5 mm (0.2 in) of steel plate at 500 m (550 yards). Tracer rounds burn out to 800 m (875 yards), and can be identified by their red tips.